Not so long ago, golf carts were relegated to golf courses, and the damage you could do in one was quite limited. Now, however, golf carts have made their way off the grassy links and into populated areas, such as residential subdivisions, beach resorts, and retirement communities. 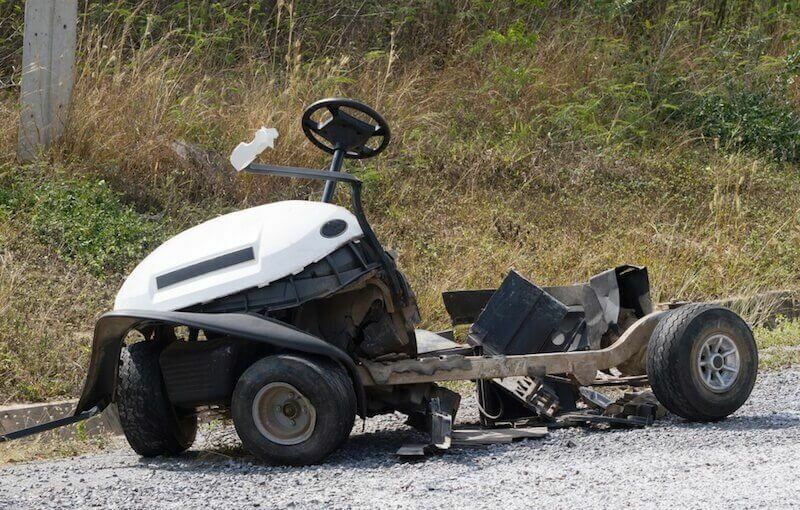 As golf cart motors have become more powerful, and these vehicles are increasingly used in public places, the dangers associated with them have grown exponentially. Their use is attracting the attention of authorities ranging from city councils to the U.S. Department of Transportation. Even though they were specifically made for golf courses, golf carts have been found to be efficient and practical in several other settings. They have been used for years in resorts and campgrounds, and they are extremely popular in beach areas along the coast and on islands. 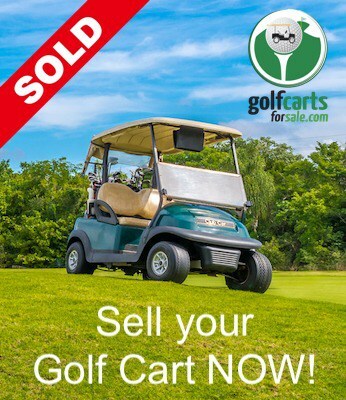 However, within the past few years, golf carts have continued to find their way further inland away from the oceans. As gas prices increased, people began to view golf carts as a legitimate means of local transportation, and many retailers now report that sales of carts for neighborhood use outpace sales of those bound for the links. Also, business is brisk throughout the year rather than only during the summer. On average, golf cart drivers travel at about 15 mph, and many models are capped at 20 or 25 mph to fit into the federal classification for slow-moving vehicles. However, it is not unknown for some golf carts to carry souped-up engines capable of reaching speeds of 30 mph or higher. No one is questioning the fact that golf carts are fun, convenient and environmentally friendly vehicles. But as they transition from the links to city streets, people are being forced to consider the issue of golf cart safety. The National Highway Traffic Safety Association (NHTSA) issued new federal motor vehicle safety standards back in 1998, but many communities are finding them insufficient in reducing the risk of accidents. In 2013, a Tennessee woman was killed and three passengers injured when a car collided with a golf cart in Fountain Inn, South Carolina. The following year, a teenage boy in Warner Robbins, Georgia, was killed when his golf cart overturned and landed on him. These incidents prompted officials of Greenville, South Carolina, to review safety regulations and enforcement. In this state, the law requires anyone operating a golf cart to be 16 years of age or older and hold a valid driver’s license. Also, the vehicles must be registered with the state’s Department of Motor Vehicles (DMV) and can only be driven during daylight hours within four miles of home or work. In Greenville, the safety regulations are even stricter. Carts may only be driven on secondary roads where the speed limit is 35 mph or lower. Also, nearly all other laws that apply to cars and trucks also apply to golf carts, including driving under the influence of drugs or alcohol and driving with open containers of alcohol. All vehicles, whether they are motorized or not, carry safety risks, and golf carts are no exception. According to a study conducted by the Research Institute at the Nationwide Children’s Hospital and published in the American Journal of Preventative Medicine, approximately 148,000 people suffered injuries as a result of golf cart accidents from 1990 to 2006. During this period, the incident rate rose by 132 percent during that period. The most common injuries sustained in golf cart accidents are bruises, but fractures and lacerations make up 38 percent of reported injuries. Other injuries that frequently occur include concussions, spinal cord damage, and internal trauma. However, in the 17 years covered by the study, only four accidents resulted in fatalities. Injuries in golf carts are rarely the direct consequence of collisions. The majority of them occur when carts flip over or roll down hills when people fall or jump from moving carts and while entering and exiting golf carts at any time. Riding in a golf cart carries a small amount of risk, but the frequency and severity of injuries are much lower than with most other vehicles because they move at such low speeds. Besides, these risks can be mitigated by following a few simple safety tips, such as those below and the ones in this safety video produced by The Villages in Florida. Inspect the vehicle before driving it, including tire pressure, steering, brakes and lights. Do not operate golf carts in need of repair. Never drive faster than 15 mph or faster than conditions allow. Observe all traffic laws, and signal all turns. Keep hands and feet in the cart at all times. Do not drive on sidewalks. Slow down and sound the horn at all intersections. Use safety mirrors when turning and changing lanes. Use safety belts at all times. Remain seated while in the cart. Never use golf carts for joyriding. Do not leave the cart unattended while it is running. Avoid driving golf carts in inclement weather. Secure the cart with a cable or locking mechanism when not in use. Golf Cart 101: What Makes Golf Carts Street Legal? Is The Eli Zero The Ultimate NEV For Every Household?